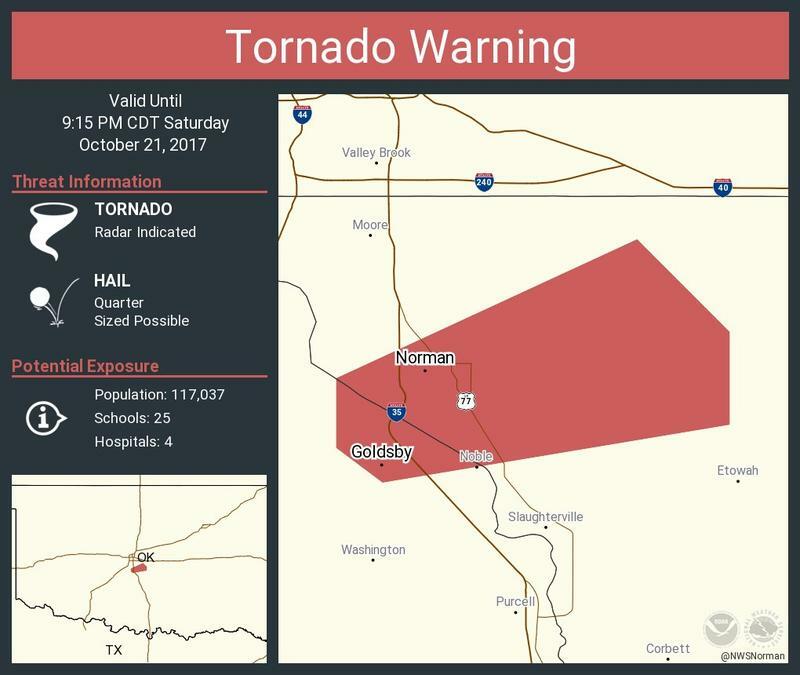 Four confirmed tornadoes struck Oklahoma on Saturday night, damaging a Norman casino and knocking over powerlines and trees. An EF1 tornado hit the Riverwind Casino in Norman, where Gov. Mary Fallin was attending a Beach Boys concert. Fallin told News 9 she had to be evacuated twice, and saw torrents of rain pouring through the facility’s roof. Riverwind Casino spokesperson Kym Koch says crews are still assessing the damage.